Welcome Wednesday!! 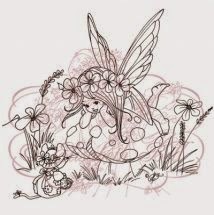 Time for a Sketch Challenge and this week we are going retro and revisiting a favorite Sketch from the past... I hope you will play along with us as we revisit this awesome Sketch by Arlana #207-60. Our Sponsor this week is Elisabeth Bell. Check out her SWEET images by clicking HERE. Elisabeth Bells Digital Collection features enchanting, whimsical, Digital stamps for all of your paper-crafting projects! Although Elisabeth illustrates for several stamp companies, no one except Elisabeth Bell herself has a collection of sweet digital stamps, this is a perfect way to get your instant gratification. 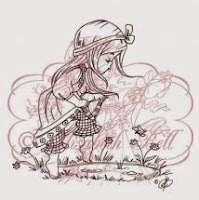 With a growing catalog of high-quality digi stamps, Elisabeth offers a multitude of themes. Such as holidays, special occasions, childrens adorable characters, and just the everyday cuteness that Elisabeth is famous for producing. 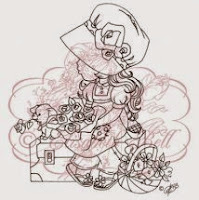 These Digi Stamps are available in standard black and white line art, and are great for resizing, and rotating to suite your needs. Inspiration, by her very own Design Team, is posted, and shared daily, on Elisabeth’s “Digi Bells Blog” using Elisabeth Bell’s digital art. This week's winner will receive two of the three images that the Design Team was able to create with. I hope you will join us!! Gorgeous card Sally. I love your color combo and beautiful papers. So pretty Sally and sure to perk someone up who is under the weather! 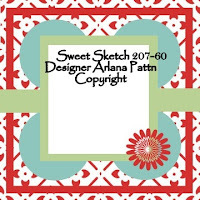 Such a fun card, great papers and darling image. Love coloring EB images. Have a super weekend. 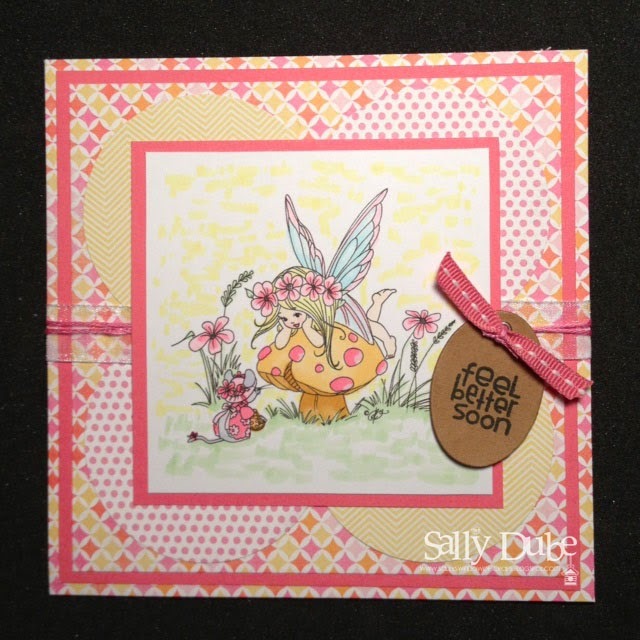 Hi Sally isn't this a cute image I just love it, and I love your pretty colour combo this card would really brighten my day. Take care and have a lovely weekend. Howdy, I think your web site may be having internet browser compatibility problems. When I look at your blog in Safari, it looks fine but when opening in IE, it's got some overlapping issues. I merely wanted to provide you with a quick heads up! Aside from that, excellent website! Wonderful Sally. Love the DP you used this week. It's just the perfect perk-up card! Sweet Sketch Wednesday - let's Make it Crafty!! Tuesday Throwdown - What's your favorite book...? Sweet Sketch WednesdayHey there friends! !